St. Mary Athletic Boosters is making headbands available to CYO Volleyball athletes (See below). Cost is $10 . Please click here Login to My Account to login and place an order . When in the registration system, click on the "Apparel - Headbands". Next, click on the "register" tab next to the athlete that you are ordering for as if you are signing them up. Once there, click on the appropriate one that you would like to order – St. Mary Logo Headband or Navy Under Armour Tie Headband. The St. Mary Logo headband is traditional elastic sweatband material. 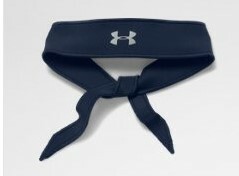 Headbands will be delivered through coaches/practices. If you have any questions, please email boosters@stmaryavon.com.